Moist chocolate cake with simple coffee buttercream frosting and covered with vanilla buttercream frosting. 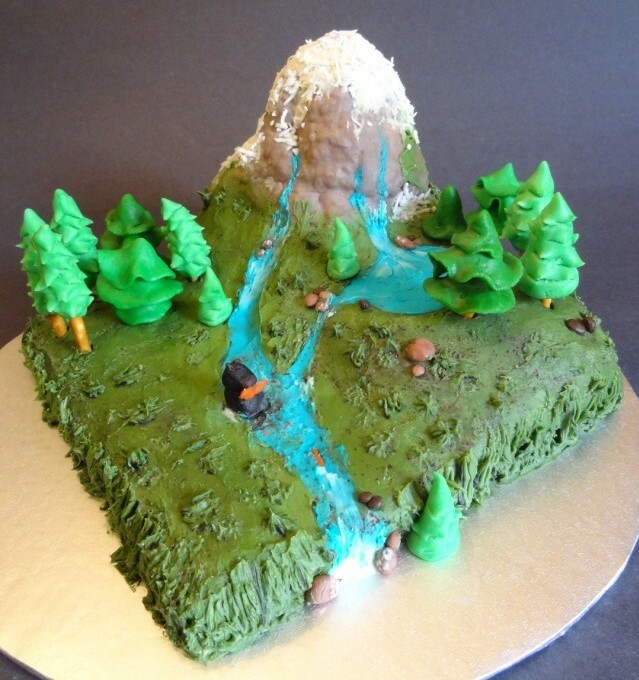 The mountain is part cake, part rice krispies covered in fondant with icing and shredded coconut. The trees are made from pretzel sticks and modelling chocolate. 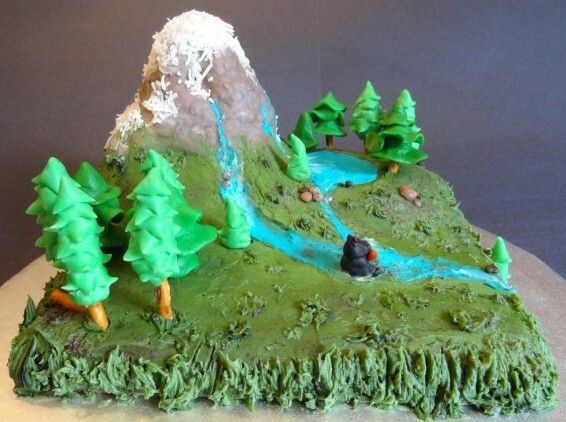 The bear eating a salmon is made from fondant.